Get ready everyone because War is coming, and there is a whole lot at stake. There are a lot of sequels coming out this year, but there may be no sequel more highly-anticipated than War for the Planet of the Apes. This unlikely, incredible reboot trilogy started back in 2011 with Rise of the Planet of the Apes and truly escalated to new heights with Dawn of the Planet of the Apes in 2014. Now it looks like Caesar is looking to finish what he started. Or die trying. CinemaCon is currently going on in Las Vegas and that means a lot of studios are putting their best foot forward this week. For Fox, that meant debuting a brand new trailer for War for the Planet of the Apes. The studio released a brief trailer tease yesterday in anticipation of this new footage arriving online. As with the first trailer, it looks like Caesar may have met his match, and it is going to come down to apes or humans in a winner take all battle for the planet. Place your bets now, but I wouldn't be against the apes on this one. Here is the official synopsis for War for the Planet of the Apes. "In War for the Planet of the Apes, the third chapter of the critically acclaimed blockbuster franchise, Caesar and his apes are forced into a deadly conflict with an army of humans led by a ruthless Colonel. After the apes suffer unimaginable losses, Caesar wrestles with his darker instincts and begins this own mythic quest to avenge his kind. As the journey finally brings them face to face, Caesar and the Colonel are pitted against each other in an epic battle that will determine the fate of both their species and the future of the planet." It isn't totally clear if Fox is planning on continuing on with this Planet of the Apes franchise after this upcoming installment, which will be the culmination of what looks to be an excellent, possibly all-time great, trilogy. If the movie does well at the box office, which it almost certainly will, one would image the studio would keep making these until they eventually get back to the timeline from the original movie. Whether or not they would take another stab at remaking the original sci-fi classic, which Tim Burton tried to do back in 2001 with little success, is up in the air as well. But if these movies continue to be good, why not? In the meantime, it looks like Matt Reeves may be capping off one of the best trilogies in recent memory with War for the Planet of the Apes this summer. The cast for the movie includes Woody Harrelson, Judy Greer, Steve Zahn, Sara Canning, Ty Olsson, Terry Notary, Max Lloyd-Jones and Andy Serkis. 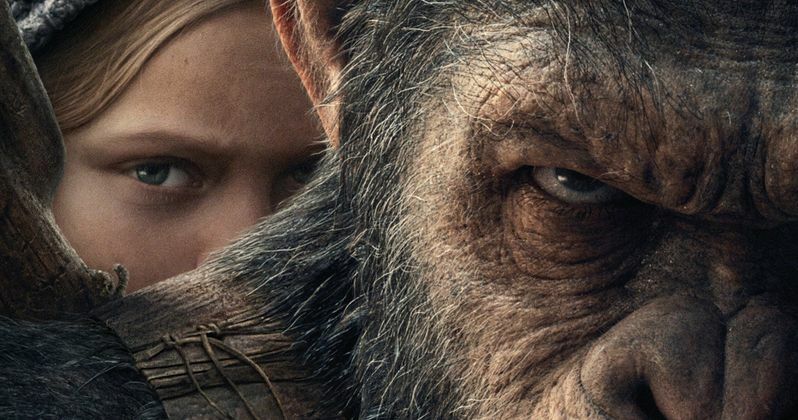 War for the Planet of the Apes is directed by Matt Reeves and is set for release on July 14. Be sure to check out the brand new trailer for yourself below. Will Nolan's Dunkirk Be a Hit or Miss at the Box Office? Caesar Vs. Spider-Man: Can Planet of the Apes Win the Box Office?